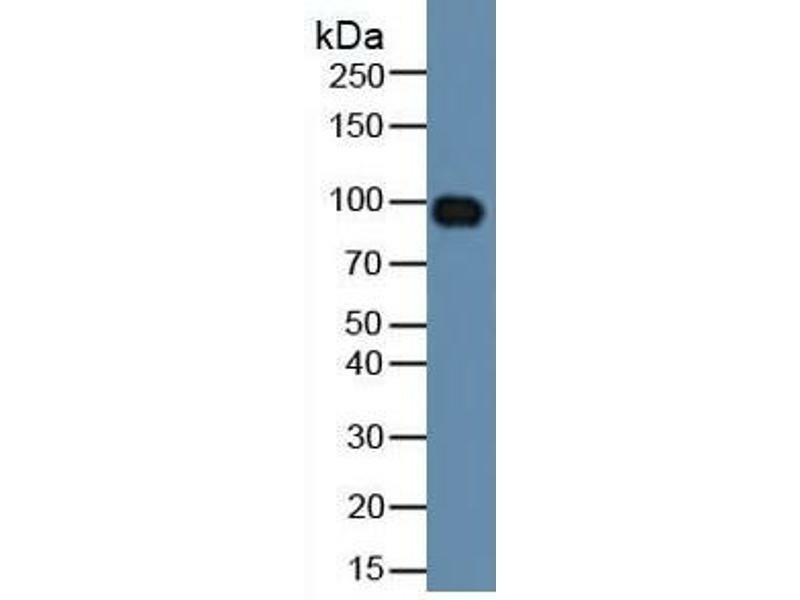 Rabbit Capture antibody from the kit in WB with Positive Control: Human serum. 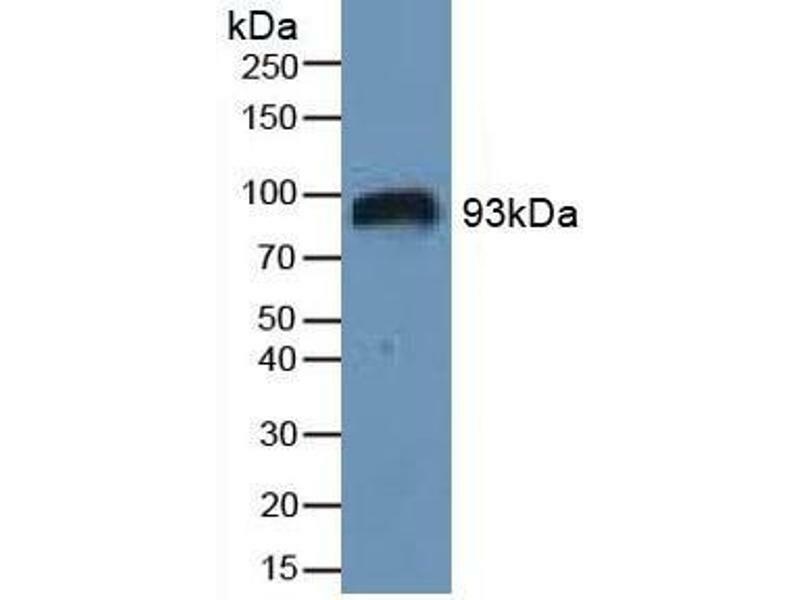 Rabbit Detection antibody from the kit in WB with Positive Control: Human serum. 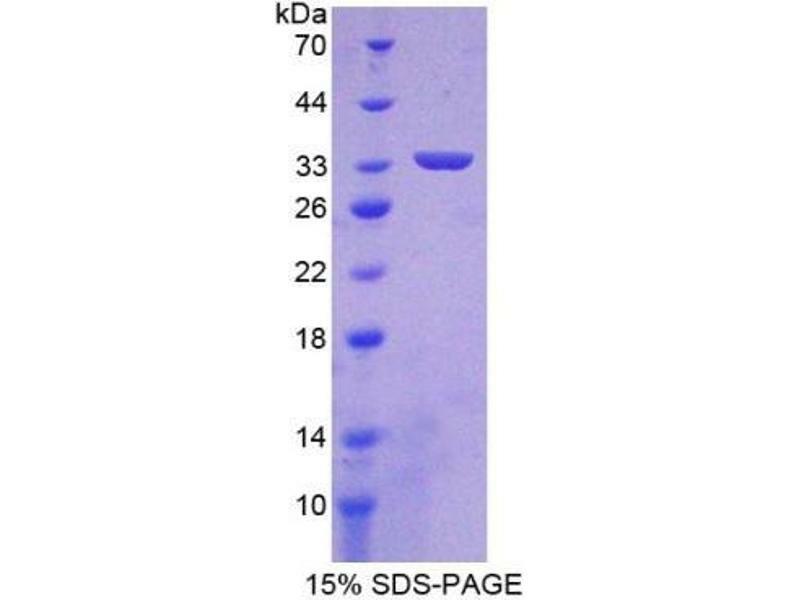 SDS-PAGE of Protein Standard from the Kit (Highly purified E. coli-expressed recombinant human HIF1a). 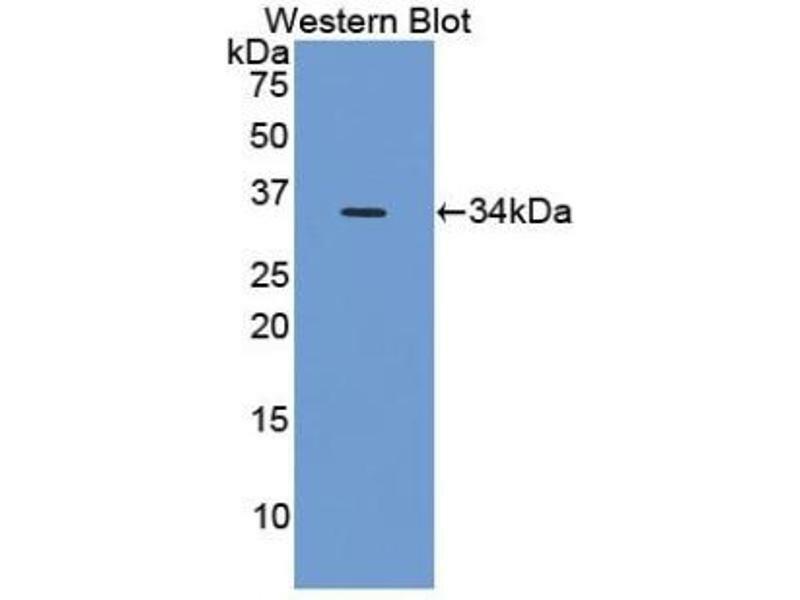 WB of Protein Standard: different control antibodies against Highly purified E. coli-expressed recombinant human HIF1a. 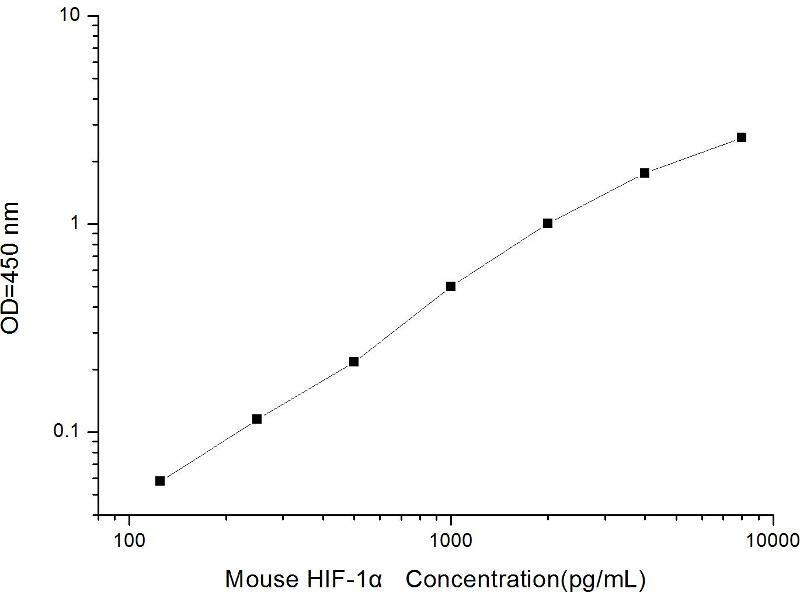 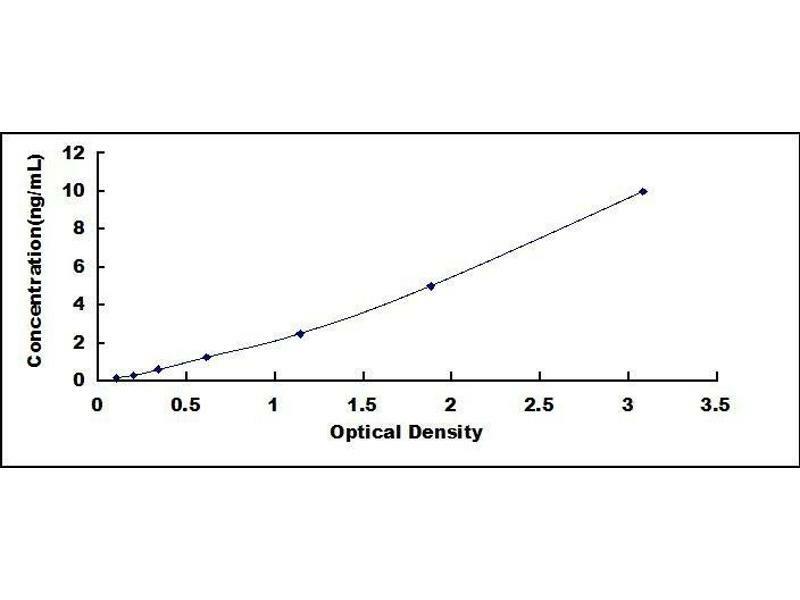 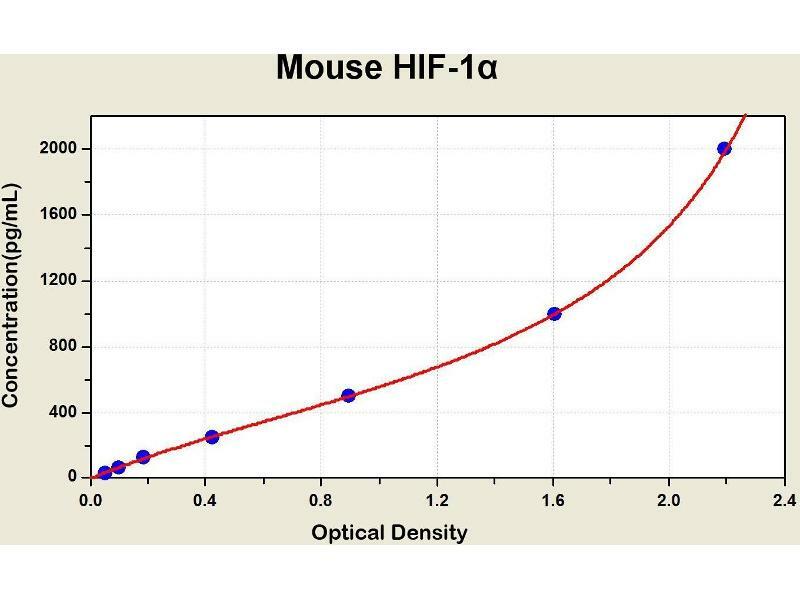 Diagramm of the ELISA kit to detect Mouse H1 F-1alphawith the optical density on the x-axis and the concentration on the y-axis.